Bitter~Sweet ™: Diabetes Blog Week Help!! I can hardly believe it, but the Fourth(!!) 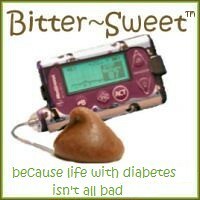 Annual Diabetes Blog Week is just around the corner. If you’ve never participated before, Diabetes Blog Week was started in 2010 after I participated in a similar event in the fiber blog community. I loved the way Knit and Crochet Blog Week brought the fiber blog community together and helped me discover other knitting blogs, and I really wanted to try to do the same for the DBlog Community. I wasn’t sure anyone would sign up, but oh did you ever, and each year I’ve been so happy that participation has grown and grown!! I’m so excited for 2013 Diabetes Blog Week, but this time I sure could use some help. You see, I’ve always felt that the most important thing I need to do for DBlog Week is to come up with some really really good topics. After all, if I’m going to ask you guys to blog for a full week on topics I’ve given you, they had better be some good prompts. They also need to be open-ended enough to work for everyone in the DOC - T1, T2, LADA, gestational and T3 (which includes all caregivers and loved ones of people with diabetes). For the first time I’m having some trouble coming up with awesome topics, so I thought I’d open it up to suggestions! What would you like to write about? What issues do you think are important for us to lend our voices to? What would be a a lot of fun to post about? 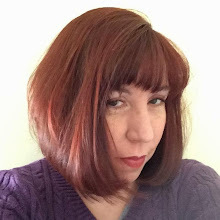 If you have ideas and suggestions, please leave them in the comments section, or email them to DBlogWeek@bittersweetdiabetes.com. Also, although I have fun creating the banners and buttons, I will admit they are pretty lame. If anyone would like to whip up the graphics for this year, please let me know! Thanks everyone, and stay tuned for sign up information in just two (yikes!!) weeks. Of course, I suggest some kind of prompt that encourages creativity - art, poetry, photography, etc. Something about the worst fear and how you manage it... how to tame the monster under the bed kind of thing. This might not be suitable, but it's something I've been thinking about a lot the last week or so. In the wake of this name change discussion, and Manny's post about coming out of the cave together, I was looking at a document he shared with me about HIV/AIDS advocacy (http://www.fastercures.org/assets/Uploads/PDF/Back2BasicsFinal.pdf), and last night I watched the documentary, How to Survive a Plague (available on netflix streaming, http://www.imdb.com/title/tt2124803/), about how AIDS activists mobilized and affected change. I think we should be questioning just how effective what we've been doing is working, and looking outside the diabetes community to consider how and why the HIV/AIDS efforts, and also breast cancer efforts have been so successful, and what we can learn from that. I think we need to brainstorm as a community about ways to further our cause. I think that's ultimately why the name change petition was created. I strongly disagree that it is a means of accomplishing change, but that leaves the questions, what are viable solutions? A prompt for D Blog Week might be a way to get a large community discussion initiated. I'm all for the poetry part, good idea Lee Ann. Hi Karen, here are a few suggestions. Share recommendations of your favorite diabetes related product or tip/trick and why? Share a quote or poem and how it relates to living with or caring for someone living with diabetes. Give some love to three blog posts you’ve read and loved in the past, and tell us why they’re worth reading. Has your participation in the DOC affected how you treat friends and acquiantences with other medical conditions? If so, how? Personally, I thought the dream diabetes device was a hit last year! There could be "best and worst comments/experiences with D", and I really liked the "dream diabetes device" topic last year. - How do you deal with diabetes at work? How much, if anything, do you share? - Who would be most surprised that you're blogging? - If you were to share your blog with someone else (with or without diabetes), who would it be? Why? I think it would be interesting to ask "Which one diabetes blogger would you most like to meet in person (who you haven't met yet) and why?". I suppose you could expand it to three, but definitely not more than that; we don't want anyone to feel excluded from a list! Or, we can remove the blogger aspect altogether, and just ask which person with diabetes (public figure, DOC'er, whatever) we'd most like to meet. There's lots of different ways to go with this one. I like LeeAnn's idea about ways to promote support and awareness for t1d. I'm frequently amazed by how unaware the public, and even medical personnel are about what t1d even is. Even people I speak with who HAVE type 2 don't have any idea what is involved in managing t1d. Another topic...what is your best response..as a pwd or as a parent of a cwd..to the oft asked question, "So, how is she doing with her diabetes?" ( change pronouns to suit you:)). --Write a post to your best friend (or partner), thanking them or telling them something they don't know in regard to you and your diabetes. --What do you wish your medical team could see about your daily life with diabetes? What do you hope they don't see? --Write a poem, a song, or make art. Get creative. If you don't feel creative, tell us why. So excited this is coming up! Just the kick in the pants I need to get back into blogging less haphazardly! One idea is writing about your most memorable diabetes day. This could go anywhere....diagnosis, bad lows, bad highs, successful taming of the beast, etc. Also, a post about the Type Awesomes in your life could be pretty good. Write a letter to your "perfect" blood sugar. You're the newest CEO of a brand new company, and YOU get to pick the name, focus, mission, product(s), etc... Have fun! My husband and I came up with a bunch of ideas. My favorite is: Reasons why someone would want to be diabetic. Who else can eat in the middle of a funeral? It kind of goes along with what Carol said - a splashy educational piece that is different. What super powers does diabetes give you? Diagnosis stories. Have we ever done this? I don't remember. Even if we have already posted our story we can repost it for DBW. What is the ideal service animal? Think beyond the obvious and be creative in explaining why say a seal would make a good service animal - it flaps its flippers and barks every time you get a good blood sugar reading! Revisit the most embarrassing diabetes moments. Those are always great to read and it's nice to not take ourselves too seriously. If diabetes was the theme of a TV game show how would it work and how would contestants move on or not. What would constitute the weakest link? Thanks for always putting this together. You're awesome Karen! With the following that this event inspires, I would like to see some kind of a poll done. It would be interesting to see what we all have in common and what some of our challenges might be. This could tap into stats like A1cs and carb amounts or evaluate things like financial costs or hope for a cure. Why did you start blogging, that would be interesting topic to read. I would love to organize our advocacy. So what about what is the most important advocacy effort to you?